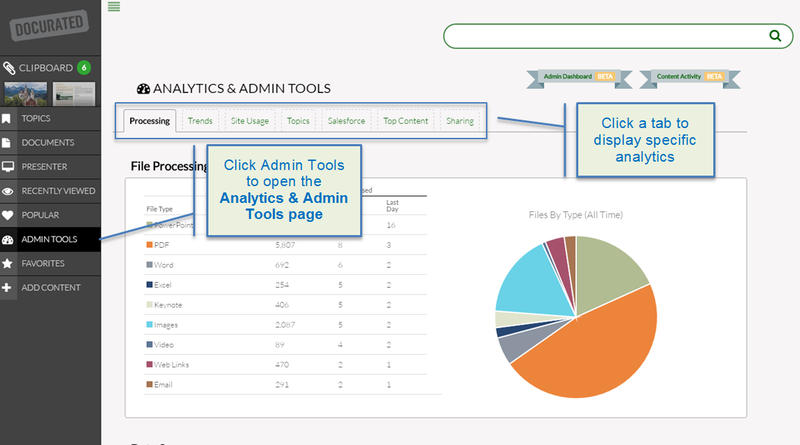 What controls are available for Dashboard Administrator on Docurated Analystics & Admin Tools page? : Quark Software Inc.
Docurated Analytics & Admin Tools page allows organization admins to manage their users/teams, as well as access in-depth analytics from top users to top documents used inside of their organization. Note: To view presentation analytics, navigate to the Docurated Presenter page by clicking Presenter at the left side of the browser window.